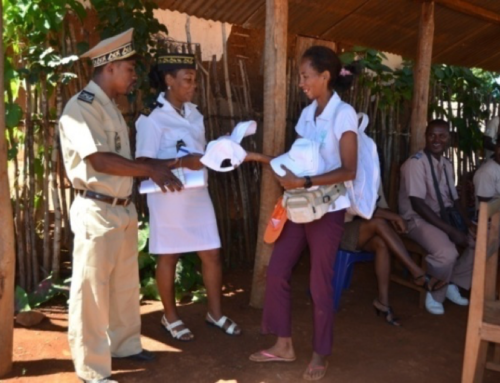 World Lemur Festival 2015 has been held on October in Antananarivo with the help of Marat Karpeka Lemur Foundation. Key objective of the festival was to educate children about the importance of lemurs for Malagasy nation and bring their attention to the fact that most of lemur species are facing extinction. Young people from different schools (public and private primary schools, secondary schools, high schools) met at the public Ambohijatovo Garden to attend educational lectures about the lemurs, play educational games and watch performances. The carnival moved from the Municipal Stadium to the Botanical Park and Zooogique Tsimbazaza (PBZT), with the participation of representatives of different NGOs and associations active in the protection and conservation of the environment.